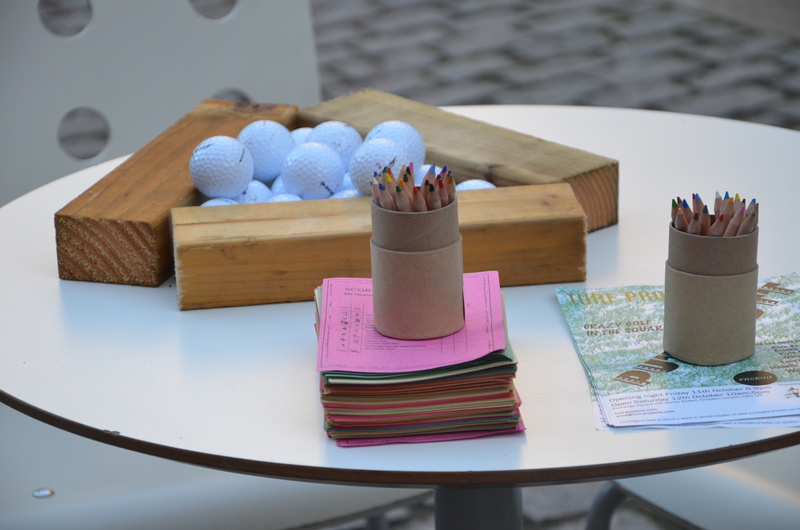 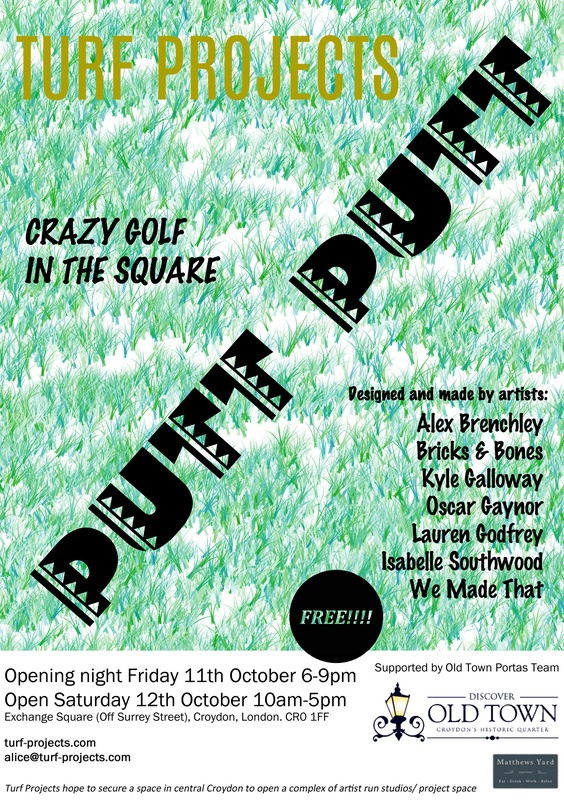 P U T T – P U T T is a celebration of all things crazy golf- its assorted interpretations on a theme, snapshots of various faux landscapes with their languages, obstructions and possibilities. 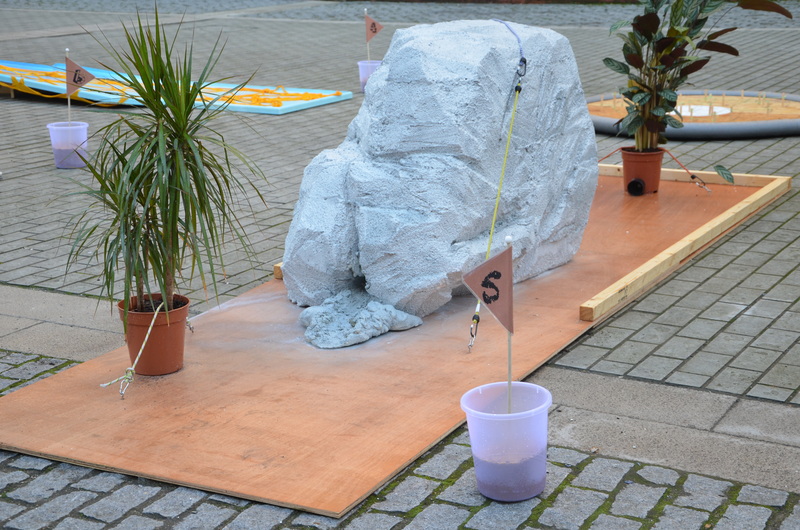 Turf Projects’ launch event PUTT – PUTT will be showcasing seven artists’ and collectives’ responses to this concept- to create a hole on Croydon’s new crazy golf course. 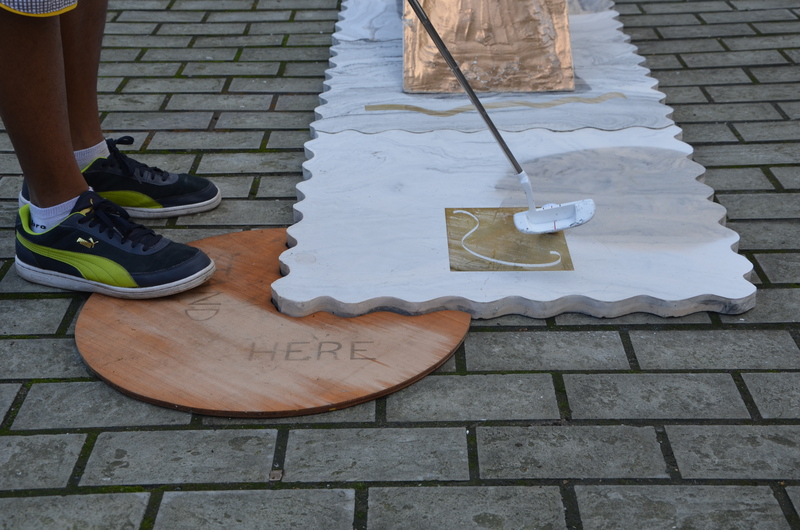 Alex Brenchley has used the character Casper the Friendly Ghost as an invisible wall, with a collection of ghost-like hazards. 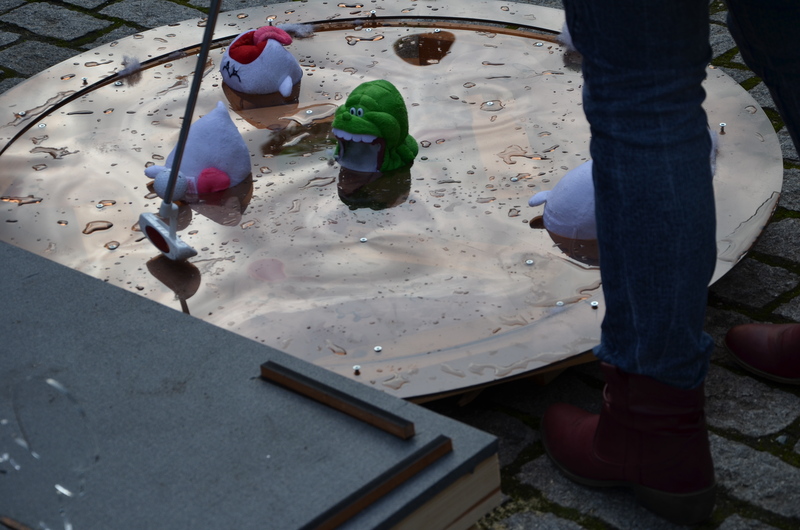 The aim here is to avoid the labyrinth of Perspex and soft toy ghost obstacles by using the clear ramp to score a hole in one! Kyle Galloway’s crazy golf hole is concerned with social space and the readymade. 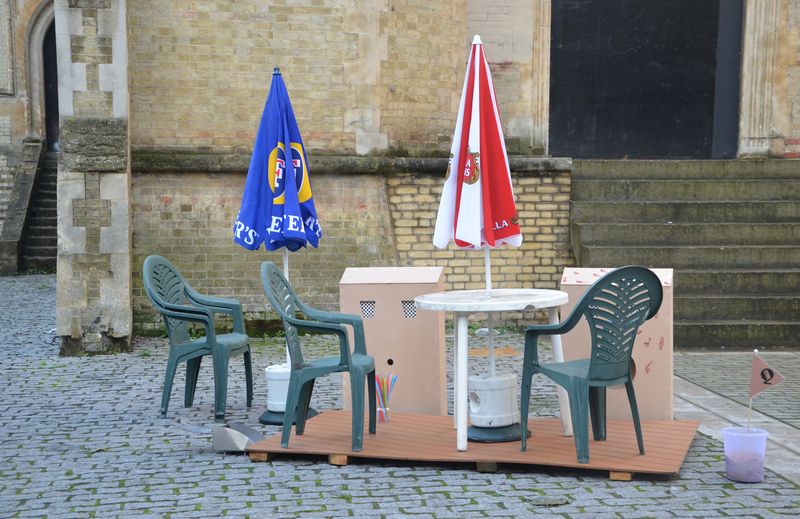 It is based upon bar terraces. The hole allows the ‘parents’ to have fun whilst the ‘children’ play. 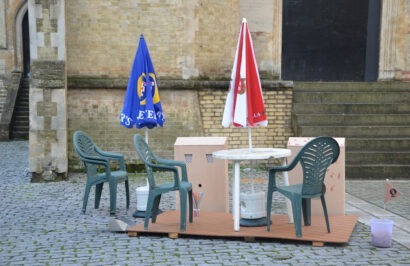 It will become more difficult for the player as more people socialise at the table or take shelter under the parasols from the elements. Bricks & Bones are a young architectural collective inspired and stimulated by the potential within the urban landscape of South London. 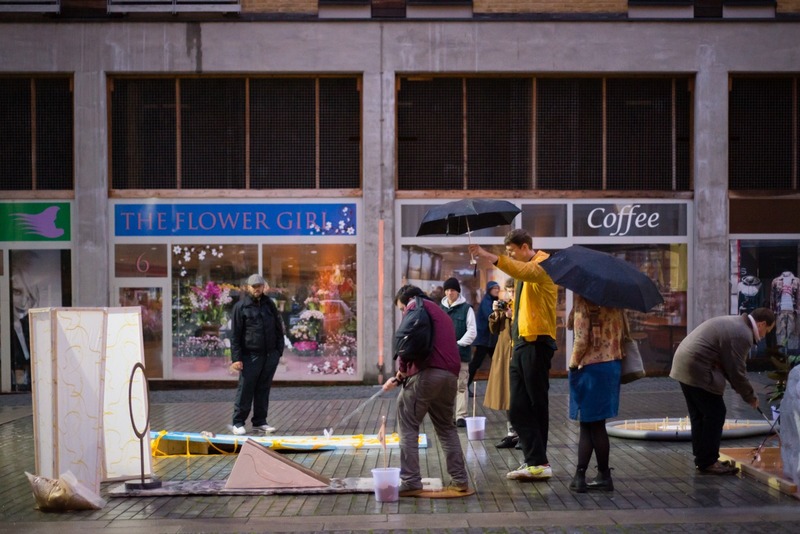 By taking the layout of Croydon it is hoped the participants will playfully question the scale and space in which they work, rest and play. 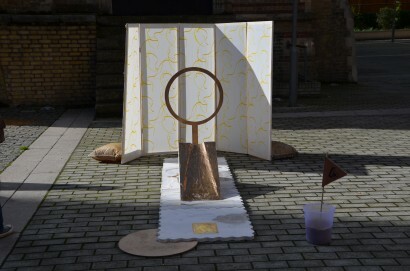 Isabelle Southwood takes the Bank of China design, which has infamously bad feng shui implying violent death and the Croydon Branch of Wing Yip to react to the faux meditative landscape of a standard golf course. Oscar Gaynor’s Speaking The Toothfeatures a large rock with a playable route through its centre. 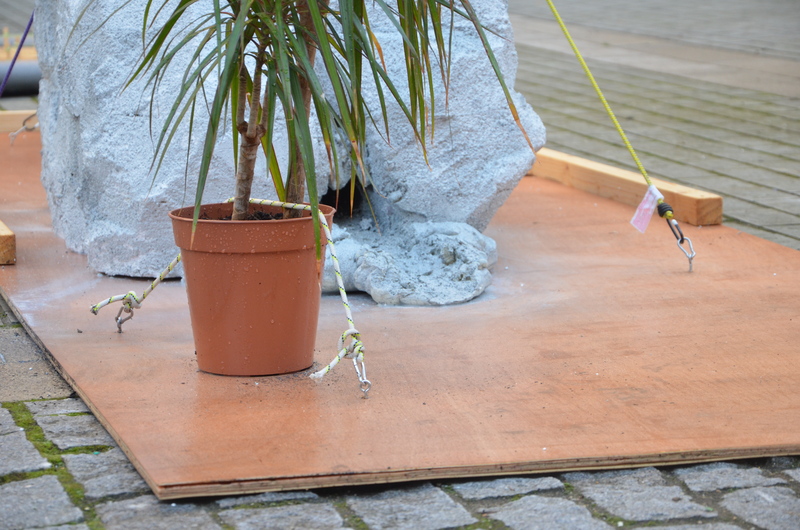 Made from a wood and chicken wire frame and covered in concrete the rock will house a sound piece made in collaboration with Kolanchoe. 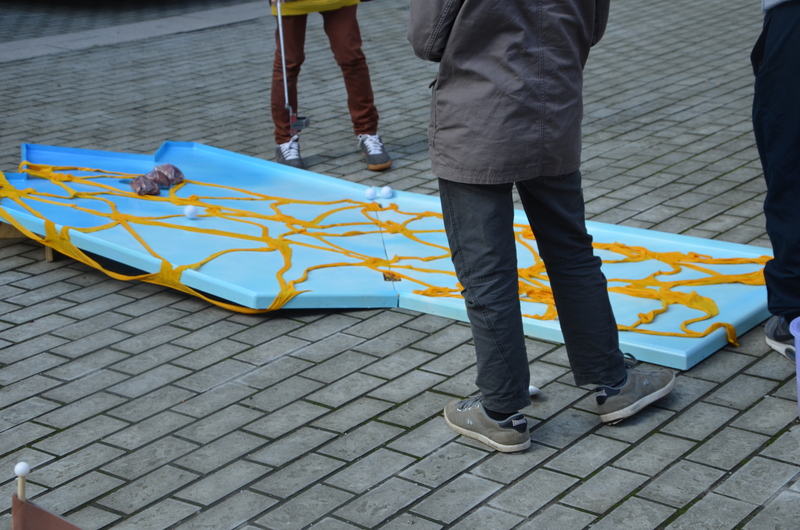 This will be comprised of original and sampled improvised music and a recorded monologue. Hole six, created by Lauren Godfrey has been made in response to previous experiences while playing crazy golf on holiday. 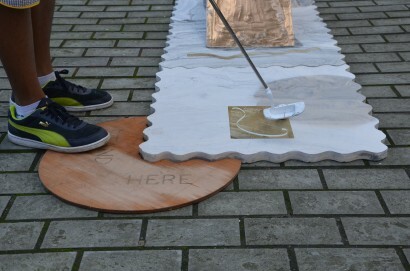 Her work Spag Tag is made up of tessellating jesmonite panels inlaid with brass Pappardelle pasta. The player must hit the ball up the ramp with enough momentum to score in the net! We Made That, an energetic architecture and design studio, currently working on street and shop improvements in Croydon’s South End as part of the Connected Croydon programme have created the final hole. 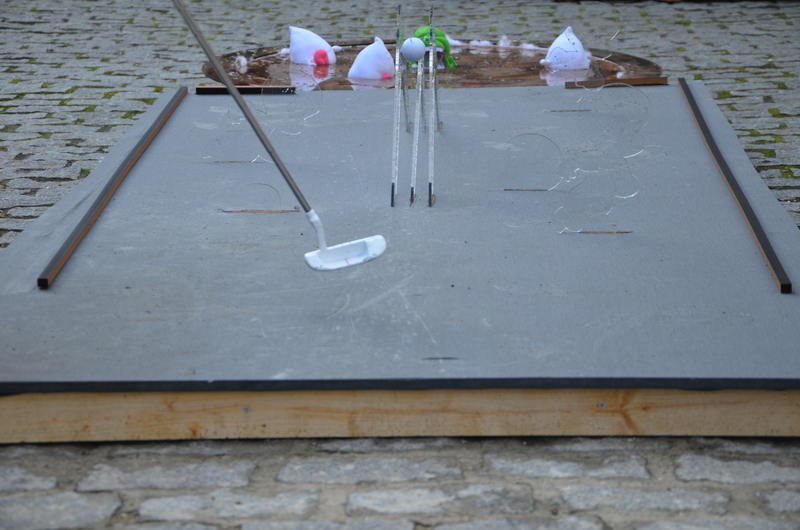 Their crazy golf hole will require all your trickshot skills, but will win you another free game if you manage to complete it!